AMES, Iowa — Catherine Woteki, who served six years as undersecretary for research, education and economics and chief scientist for the U.S. Department of Agriculture, has joined the faculty of Iowa State University’s Department of Food Science and Human Nutrition. Woteki, a member of the National Academy of Medicine, will return to Iowa State where she served as dean of the College of Agriculture and Life Sciences and director of the Agriculture Experiment Station from 2002 to 2005. Her appointment was effective July 1. 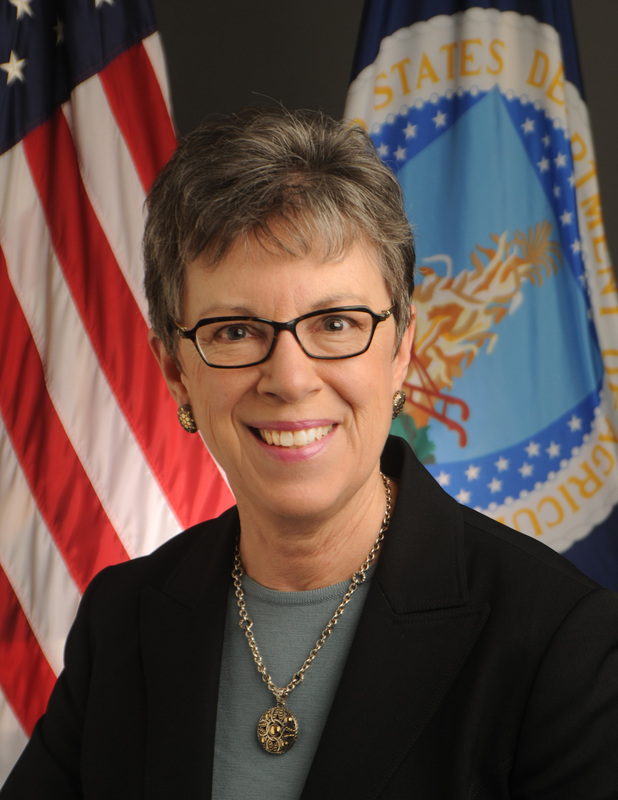 Woteki served as undersecretary for the USDA’s Research, Education and Economics mission area from 2010 to 2016. Her responsibilities included oversight of the area’s four agencies: the Agricultural Research Service, National Institute of Food and Agriculture, Economic Research Service and National Agricultural Statistics Service. Woteki also served as the first undersecretary for food safety at the USDA from 1997 to 2001. Before her most recent post at the USDA, she worked as global director of scientific and regulatory affairs for Mars Inc. In 1999, Woteki was elected to the National Academy of Sciences’ Institute of Medicine, now known as the National Academy of Medicine. Iowa State now has four professors who have been inducted into the prestigious National Academy of Medicine: Woteki; Alicia Carriquiry, distinguished professor of statistics; James Roth, distinguished professor of veterinary microbiology and preventive medicine; and Diane Birt, distinguished professor of food science and human nutrition. Woteki also has held previous faculty appointments at the University of Maryland and the University of Nebraska. She earned a bachelor’s degree in biology and chemistry from Mary Washington College and a doctorate degree in human nutrition from Virginia Tech.